In normal conditions this will be easily reachable in two shots, but into a strong easterly wind the cross bunkers, 100 yards short of the green, come into the equation. Five bunkers on the corner of the dog-leg as the hole sweeps to the left dictate that the drive must stay straight. 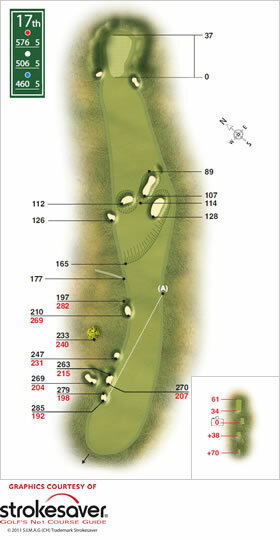 The receptive green is set back into the dunes behind bunkers left and right of a narrow entrance.